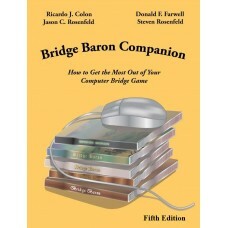 This book is intended to serve many purposes and greatly enhance your experience as a Bridge Baron user. The book’s primary purpose is to serve as the ultimate reference for the Bridge Baron program. It is a supplement to, and more detailed version of, the Bridge Baron help file, as well as a comprehensive reference manual. Additionally, it should inform you about the inner workings of the Bridge Baron program and tell you how to get the most of out of your Bridge Baron. It has tips on how to use Bridge Baron as a learning tool as well as how to configure Bridge Baron to play to the best of its ability. The first few chapters are designed to get you acclimated to your Bridge Baron as quickly as possible and to explain the different configuration options. 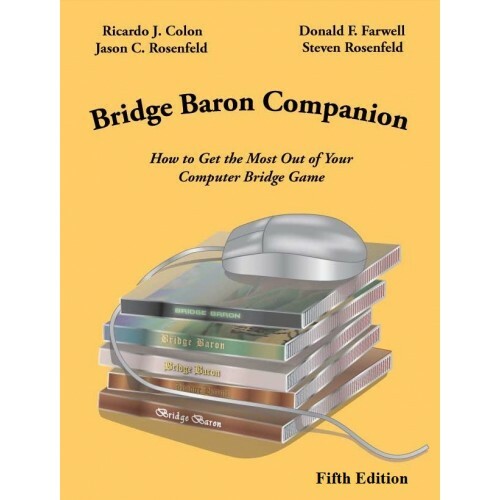 Over the years there has been much demand for a printed reference manual for Bridge Baron, so we hope this book will serve that purpose. This book goes side by side with the Windows version of Bridge Baron. If you have the Macintosh version, the screen shots included in this book as well as the specific menu items mentioned may be different. Nonetheless, this book should still serve as a useful reference, particularly on the different bidding systems and bidding conventions. If you are new to Bridge Baron and are using this book as a way to get acclimated to the program, you should read the first three chapters. They will walk you step-by-step through Bridge Baron’s options and then immediately launch you into the bidding and play of bridge deals. They will also point out how you can configure Bridge Baron to suit your needs. After that it is recommended that you spend a couple of days just playing against the Baron to become more familiar with it. The remainder of the book will then prove to be more informative and more helpful to you. There are seven main sections to this book: a section on playing a deal, a section on Bridge Baron’s options, a section on Bridge Baron’s bidding and play, a section on how to use Bridge Baron as a learning tool, a section on competitive play, a section on additional features, and a reference section. All chapters following the one on bidding and play are devoted to specific features of Bridge Baron. These features are optional, and you may wish to skip the sections corresponding to features you do not plan to use. However, becoming familiar with optional features may serve to introduce you to ways in which Bridge Baron can be of even more value to you. Note particularly that players of all ability levels should read the chapters dealing with the use of Bridge Baron as a learning tool. The features explained in these chapters were not designed specifically for either beginners or for new Bridge Baron users, and they can be helpful to both novices and advanced players regardless of your prior experience with Bridge Baron. Nearly every chapter in this book contains a number of Tips and Notes. These Tips and Notes are intended to reinforce important points and to help you make better use of your Bridge Baron. The Notes may sometimes appear to be redundant, but the intent is to provide emphasis and to allow for easy reference. Tips are intended to provide insights that go beyond the text of the chapter, and/or to suggest changes you may wish to make in your Bridge Baron configuration, your bridge game, or the way in which you use the program. After you have read through the book once and/or experimented with all of Bridge Baron’s features, the Tips and Notes can serve as a useful reference tool. Just by skimming the Tips and Notes you should be able to quickly improve your Bridge Baron experience. This book is designed for Bridge Baron 24 and 25 ONLY.